For that reason, she has decided to combine all three into one end-of-year post that will give readers a veritable climax of blog reading: We will discuss information about women that men can use, the older man/younger women dynamic, and what determines relationship success. OK, then. So the following is clearly not for you. You may bypass this post and go back to either your perfect relationship or searching for dates on postadolescentmatch.com. LBL will not attempt to prove that men prefer younger women. She concedes that, in a perfect fantasy world, most men probably do prefer younger women. She will, instead, show that actual relationship success is determined by partners being age-compatible. Now, let’s get to it: A recent study by Emory University polled data compiled from 3000 married and recently divorced couples. Various indices were used to predict relationship success. One of them was the age gap between partners. A one-year discrepancy in a couple’s ages, the study found, makes them 3 percent more likely to divorce (when compared to their same-aged counterparts); a 5-year difference, however, makes them 18 percent more likely to split up. And a 10-year difference makes them 39 percent more likely. Once you enter large-gap territory, the 20-year difference and the 30-year difference, the odds of divorce are huge. Let us now rephrase this and put it in bold: The wider the age gap of partners, the lower their chances are of relationship success. Differences in ages also mean differences in life experience and cultural reference points. Generations may be an invention, but they are meaningful nonetheless. With all the strikes against long-lasting marriages nowadays, at least marrying someone age-compatible gives one a better shot at marital longevity. Note to men whose wives are way younger: LBL suspects she already knows what you are going to say. So you can save your energy for other, more fun, activities. Here’s a thought. Before entering into an age inappropriate relationship (and after the first round of bed acrobatics to ensure physical compatibility) there should be a quiz. Like SATs to get into marriage. It could be interesting. For instance if the woman couldn’t sing at least 4 Beatles songs she wouldn’t be appropriate for a 60-something male. Or maybe that one’s too easy but I’m sure you get the gist of it. That would be a fun quiz to do. Oh my. In some cases, the woman should be asked the name of the President or the names of the oceans that border the US. That, in itself, would squash the relationship. Oh my. You are worse than I am. I like that. You had me at climax. I try to use that word whenever I can, to assure readership. Now look here my old fruit. I am a professor of mathematics at Oxford University. I am 63 years old and my wife is 36. We have been married for 40 glorious years so that kind of blows all that research out of the jolly old water. Er …. This old fruit applauds your age-inappropriate relationship. Marrying a pre-zygote must have been some feat, indeed. There is a six-year gap between my husband and me. The worst argument is Beach Boys vs Beatles. I don’t want to listen to an album full of songs about cars. Funny. Back in the day, having a car was a big deal. Now, nobody would understand that. Renee, great post and excellent defense with data. From a male’s perspective (whose wife is six month’s younger), the guys who tout relationships with much younger women, need to be asked in follow-up three years later – are you still with that person? At some point, the effect of an older man’s sage like wisdom that comes with age will wear off and the younger person will move on. Each of us likely know a man who has been bypassed after a periodic fling with a younger woman. Per your data, there are success stories, but they are not in great number. I love the tongue-in-cheek comment above from the Oxford math professor who has been happily married for 40 years to his 36 year old wife. Too funny. I love all the anecdotal evidence to the contrary. Yes, Oxford prof is one funny guy. Nothing screams genuine happiness, self-secure behavior and happiness in a content perfect relationship than googling and seeking out people who do not agree with you and then rambling on about it in their comments section to PROVE about how happy and well adjusted they are, and allegedly correct the misguided. The Emory University explains why second and third marriages where people rush quickly into it end. Cheers to science, math, research and common sense. Have a wonderful Idiot Free 2015! Agreed. I thank you for the image of an Idiot-free 2015, but I suspect that hordes of Idiots are, as I write this, clamoring at the gates of 2015. You know, Renee, it all boils down to personality and compatibility. There are couples where 10, 20, 30 years, one way or the other, don’t matter. I wouldn’t depend on any “scientific” data. IMHO. My Bob was 10 1/2 years older than I, and we got along extremely well and were a happy couple. I’ve always said that compatibility trumps everything. But I believe that in many age-inappropriate relationships, compatibility isn’t front and center. If you did not KNOW how old you actually are. I have. 15. Then my lower back would act up and the time machine would bring me back to the present. I don’t think about age gaps any more. My criteria are mostly: Is he ambulatory? Does he drive at night? Can we watch TV at a normal sound level? Is there drool on his tie? I like young guys and I have no doubt I could make it work with a 70-year old. You are a wise woman, indeed, Sienna. I dated in older woman. Only lasted 5 months. I dated a retired military person once, for several months. But I’d never reach any conclusion about that unless I had dated several. Older women, like retired military, run the gamut of personality, physical attributes, intelligence, etc. 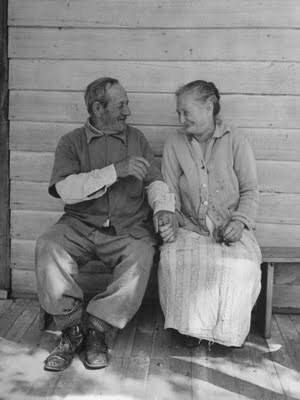 The problem I had with your excellent blog post (all the ones I have read have been excellent, and I’ve read a lot) is that you seem to assume that these older men give a rat’s behind about long term relationship success. Many would gladly take it one night at a time with their young babes. I have been doing my own research on the topic of age gaps and their affects on long term relationship success. Marriage one was to a man three years older; it lasted five years. Number two was 15 years older; we made it to year ten. I then decided to try a reversal of the age gap. My next guy was 8 years younger and we were together four years. My current one is 29 years younger and we are still going strong after seven years together. I haven’t reached any scientific conclusions yet, but I’m having fun with the experiments. I think I should apply for a grant next. Thanks for sharing! And thanks for sharing these comments. I’ve always said that compatibility is the #1 success factor in any relationship. But both parties have to want the relationship to begin with, of course. Other factors abound. Your research is interesting, although the number of subjects is way too small to reach any real conclusion. You could do the same with hair color or physique or astrology sign or size of male member. But if you figure out a way to get funding for this, let me know. I’ll jump into the mix with my own research. Thanks for visiting my alternate universe and have a stellar New Year with your current guy. I should figure out an excellent reason for ditching dearie..who is 16 yrs. older. We’ve been together for last 24 years. I couldn’t ask for a faithful, patient partner with great attitude to learn on his own as well as with me for life. To me, the latter is so key. Sure it would be nice to shave off 5 years in the age difference between he and I.